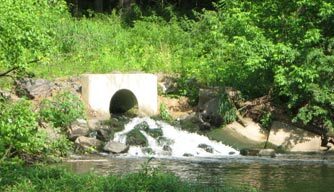 Welcome to the Chalfont-New Britain Township Joint Sewage Authority website. 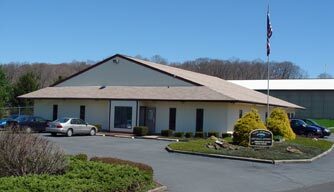 Here you can find out more about the Authority, how to pay your bill, or take a tour of our facility. Our dedicated staff is waiting to serve you. Click here for our latest news and updates. You can sign up for direct debit billing, pay by credit card, mail your check, or come to the Authority to pay. Click here to pay your bill. Office is closed on all Federal Holidays. Click here for email contact form, Google map and other information. 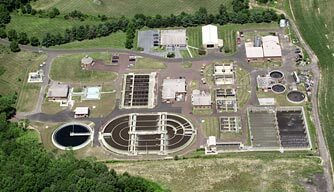 The Chalfont New Britain Township Joint Sewage Authority was jointly incorporated in 1962 by the Borough of Chalfont and New Britain Township for the purpose of financing and constructing a sanitary sewage collection system and treatment plant for the community. The initial treatment plant, and 20 miles of sewer mains, were constructed in 1967. Today, after more than 55 years since our formation and continual growth of the community, the Authority now maintains about 70 miles of sewer mains, providing sanitary sewer service for over 10,000 residents of the Borough and Township. The Authority and its staff are proud of our facilities and our level of service to our customers. All operations, maintenance, administration and customer services are performed by Authority personnel. Our two highest priorities are proper protection of the water environment and efficient, reliable service to our customers. For more information about our facilities, (and how wastewater is treated) go to the Plant Tour page of the website.